The Right Honourable Paul Martin, fall 2013 University of New Brunswick honorary degree recipient, joined First Nations’ community groups and educational stakeholders at The Playhouse in Fredericton on October 24 for a conversation about First Nations’ education in Canada. The Playhouse conversation was hosted by UNB and UNB Associated Alumni as part of its fall convocation ceremonies. Dr. Ann Sherman, dean of education at UNB in Fredericton, moderated a question-and-answer style conversation between the former prime minister, and the Playhouse audience. Mr. Martin was presented with an honorary degree alongside National Chief Shawn Atleo at UNB's 2013 fall graduation ceremonies in Fredericton on October 24 at 4:30 p.m.
Aboriginal leaders have pointed to past abuses as evidence that the federal government should allow First Nations’ communities to craft their own education policies. Some have lamented the fact that federal policy-makers have failed to learn key lessons from the past, even as they prepare to present the First Nation Education Act in Parliament this fall. Issues related to curriculum and pedagogical methods continue to be a factor as First Nations seek more culturally appropriate ways to engage their students. More consultation is being sought and more public discussions are needed. The Playhouse conversation was billed as a tribute to the late Andy Scott, former minister of Indian Affairs and Northern Development, MP, and Andrews senior fellow in social policy at UNB. 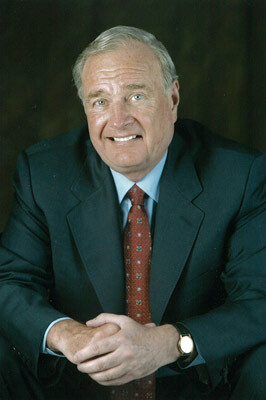 Paul Martin is the former prime minister of Canada and president of the Martin Aboriginal Education Initiative.